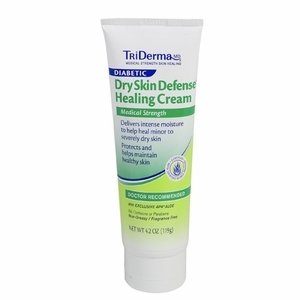 TriDerma Diabetic Dry Skin Defense Healing Cream is a specialized cream for diabetics with dry skin because Diabetics need more than a lotion or regular moisturizer. 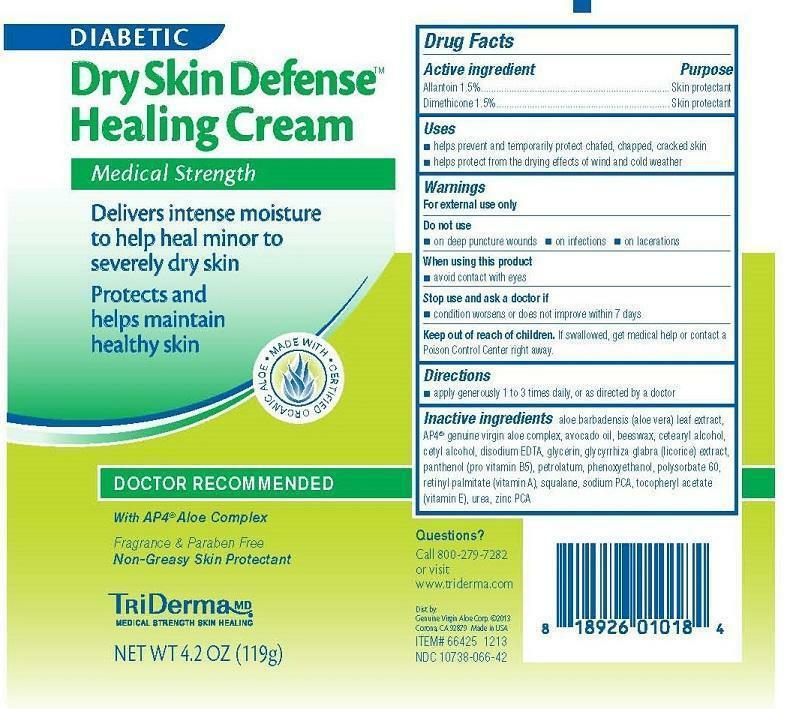 TriDerma Diabetic Dry Skin Cream is a highly concentrated cream that provides deep moisture and helps heal and protect dry, damaged skin that are caused by diabetic conditions. 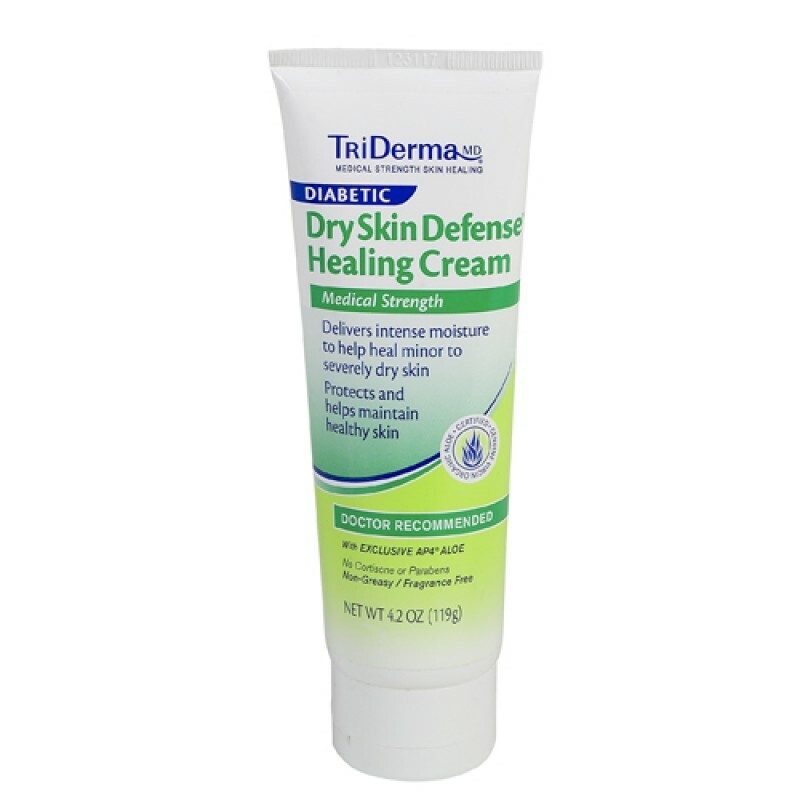 Features an advanced formula that helps speed healing and lock in vital moisture to help reinfoce the skin's natural protecive barrier. It has a non-greasy, fragrance and paraben free. Recommended by Doctors and Diabetic Educators. :: Other Ingredients: aloe barbadensis (AP4 genuine virgin organic aloe vera) leaf extract, urea, glycyrrhiza glabra (licorice) extract, glycerin, cetyl alcohol, cetearyl alcohol, zinc pca, avocado oil, petrolatum, tocopherol acetate (vitamin e), squalane, sodium pca, beeswax, panthenol (pro vitamin b5), retinyl palmitate (vitamin a), polysorbate 60, triethanolamine, phenoxyethanol, ipbc, disodium edta.